President Trump loves a strong military but detests wars that go on endlessly and without clearly defined objectives. It is with that backdrop that the president’s Secretary of Defense James Mattis is now openly calling for an end to what he describes as a 40-year conflict that includes seventeen years of a U.S. military presence in the region. President Trump is more determined than ever to bring the troops home. “In Afghanistan, it’s gone on now it’s approaching 40 years; 40 years is enough, and it’s time for everyone to get on board, support the United Nations, support [Indian] Prime Minister Modi, support [Afghan] President Ghani and all those who are trying to maintain peace and make for a better world here. So, we are on that track,” Mattis told reporters ahead of a meeting with his Indian counterpart, Nirmala Sitharaman. The U.S. has had a military presence in Afghanistan for 17 years, since 2001, when it removed the Taliban government from power, but Afghanistan has been in conflict since the late 1970s when U.S.-backed Afghan guerrillas repelled the Soviet Union from the country in a nine-year war. Since the U.S. has had a presence, however, troops have been bogged down in an insurgency waged by the Taliban and other armed groups. 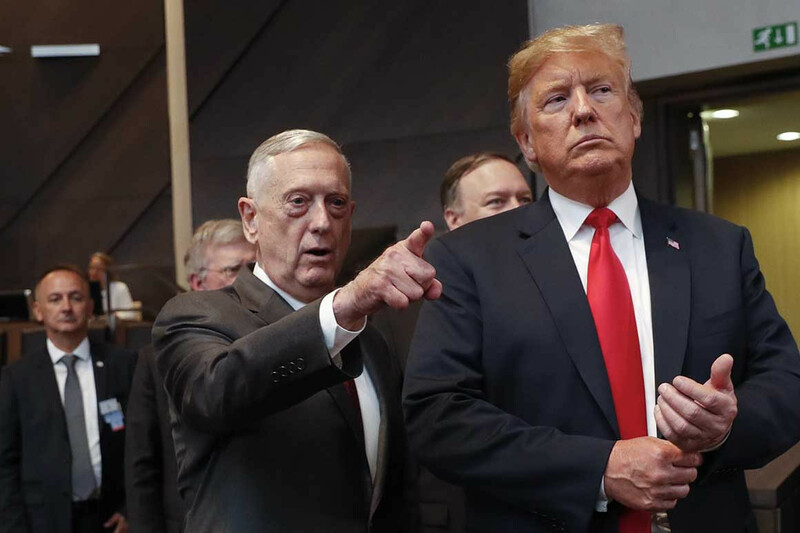 Mattis noted that the U.S. is currently concerned over the influence of Pakistan-based armed groups that have clashed with U.S. troops in Afghanistan. “The presence of U.S. troops in Afghanistan has also heightened U.S. sensitivity to the rivalry between nuclear-armed India and Pakistan. Washington and New Delhi share concerns over Pakistan-based anti-Western and anti-Indian Islamist militant groups,” he said, according to the Afghan media outlet Tolo News. President Trump is said to be appalled at how much the U.S. spends maintaining a troop presence in faraway Afghanistan (Approximately TWO TRILLION dollars since 2001) while some in Congress and much of the Establishment Media consider $5 or $10 billion on border security to be too costly. Such a contradiction makes no sense to the president or his tens of millions of supporters.